Join the fun-loving Berenstain Bears whose love, loyalty and humor allow them to overcome any obstacle that finds its way down their sunny dirt road, with the DVD release of The Berenstain Bears: Golden Brother Edition and The Berenstain Bears: Golden Sister Edition. The animated comedy is available exclusively at Walmart and Sam’s Club stores in the U.S. each $19.99 and features a high-quality 10” plush Brother Bear or Sister Bear. I don’t know about you, but The Berenstain Bears were from my childhood. I remember watching the shows and reading the books and have always loved the stories. When the opportunity came up to share them with my kids, I jumped on the opportunity. I love being able to share my childhood with them and being able to love the same things. The Berenstain Bears are innocent, fun and you are always learning important lessons. Often because they made a mistake the typical kids make and we can learn with them what the correct choice is. My kids were so excited to receive the gift pack above. We instantly sat down and read the New Pup book together while they each snuggled a stuffed animal and then we sat down to enjoy the movies. Its funny how my sons all gravitated to the Golden Brother edition because they could relate more to the choices he was making, whereas my daughters really loved the Sister Editions. As for me, I loved them both because my kids were watching, enjoying and most importantly learning in the process. It doesn’t get better than that! 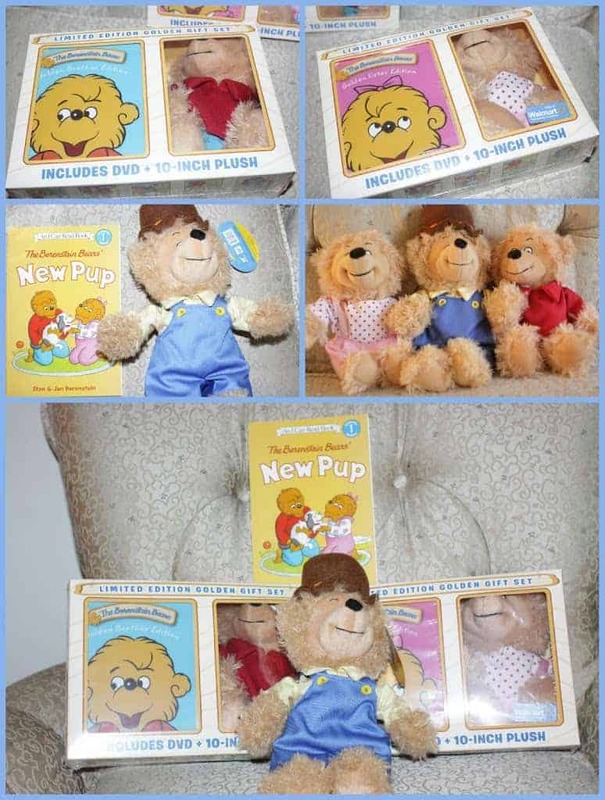 The Golden Brother and Sister Editions make such fun gifts for young kids and they include a DVD and a 10-inch plush of either Brother or Sister. You can customize what you get perfectly for if its a girl or a boy. They will love to snuggle their plush as they enjoy the fun episodes. The DVD’s each include 2 hours of fun and perfect for our Saturday movie night! Kids loved sitting and laughing and learning valuable life lessons with Brother and Sister Bear and I loved sharing my childhood with them. 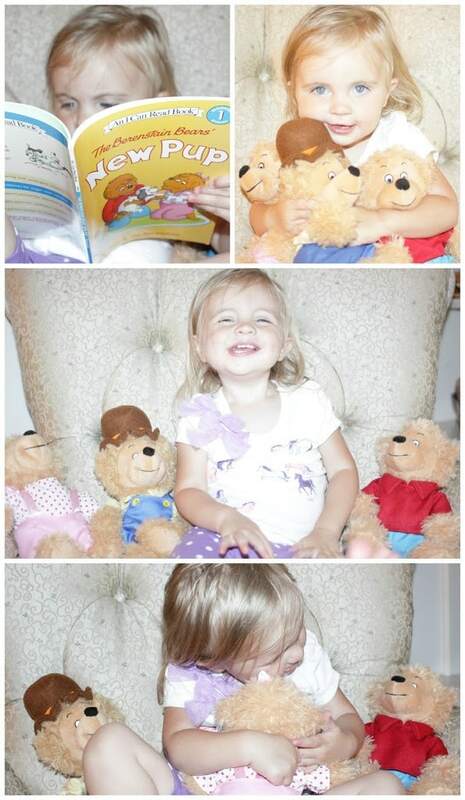 The Berenstain Bears: Golden Brother and Sister Editions available exclusively at Walmart and Sam’s Club for $19.99. We received these items courtesy of Kaboom! Entertainment all opinions are my own.